Make a lifetime of memories at Hill Center. 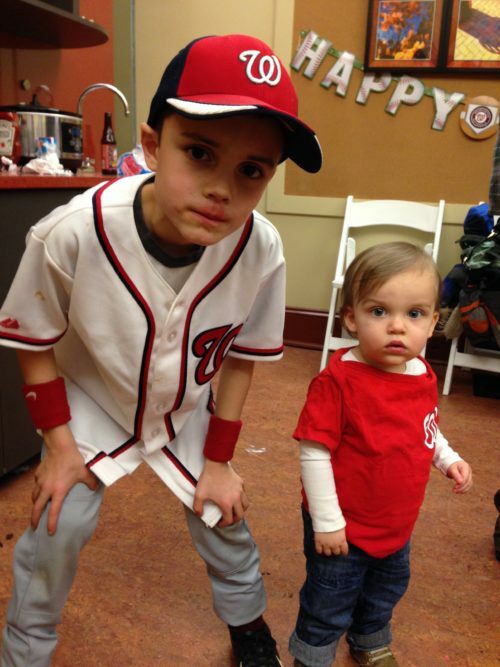 Wedding and baby showers, children’s birthday parties, bar/bat mitzvahs, family reunions, non-profit fundraisers, memorials, and holiday parties are just a few of the celebrations that we host at Hill Center. Indoor and outdoor event space available! Get Started. Hill Center offers a wide variety of multi-purpose spaces for smaller parties using a single room or large celebrations using the entire campus. 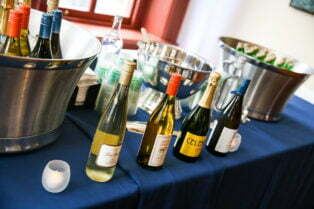 Check our special events pricing for rates. 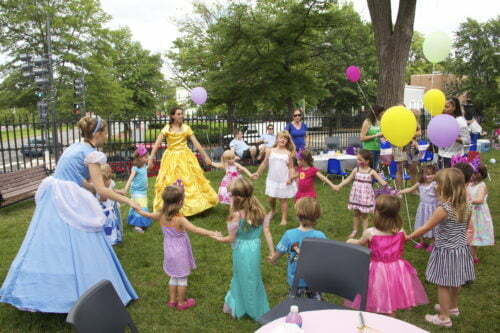 Hill Center also offers packages our Wedding or Baby Shower Package and Children’s Birthday Party Package. 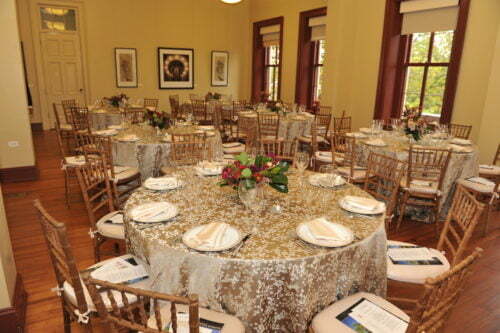 See our Guidelines for the Use of Hill Center Facilities for Weddings & Celebrations. Whether you’re looking for a small party for kids inside or a large family reunion to take place in our beautiful outdoor event space, we have the flexible, multi-purpose space you need. Check out the Capacity Chart and Floor Plans to get started. Download the Hill Center Capacity Chart. The staff was very professional and responded quickly to my requests. The staff, especially Jarrod, was extremely helpful from the planning stages to the day of the final event. The rich character of this distinctive building was appreciated by all my guests. I would definitely recommend it to anyone who wants an elegant space for their event. Hill Center provides a lovely space and I found it very easy to make all the arrangements needed for a very successful alumni reunion. Jan's Tutoring House has held our Red Carpet Celebration event at Hill Center for 6 years. It is the perfect location and central to the community where our organization operates. It feels like home. The events staff are always a pleasure to work with. A special nod to the maintenance staff who provided exceptional assistance during and after the event. Excellent team support at the event and in planning for the event. Thank you, thank you, thank you for making our event on Saturday such a successful and memorable one! The set-up and space was flawless, as was your awesome client centered service and attention to detail! The shower was a success! Better than I had hoped. Everyone loved the rooms, the friendliness of the staff and the notion that Hill Center was a community resource. The mom-to-be had a wonderful time and was very pleased. I have only positive things to say about our experience. I appreciated the Hill Center staff's responsiveness to all of my inquiries and the follow up on all my requests. You can be sure that I will recommend Hill Center to my friends, as will the mom-to-be and the shower guests. Our baby shower was everything and more than what we expected. It was a pleasure working with the Hill Center team. You are prompt, courteous and always professional. Thanks so much for all of your work and support and we’ll definitely be using Hill Center for future events. Hill Center allows you to pick your own caters and vendors for your events, but here are a few who we think do a great job and know Hill Center very well!